Manage up to 20,000 PCoIP Zero Clients from a single console with PCoIP Management Console Enterprise. IT administrators can quickly and easily provision new devices, report on inventory, review metrics, configure settings and update firmware with Management Console, included with your subscription to Desktop Access. Learn more and try PCoIP Management Console. With Management Console, PCoIP Zero Clients are the most easy-to-manage, dependable and secure endpoints for your virtual environment. Ensure that they have the latest and most requested features with Desktop Access. 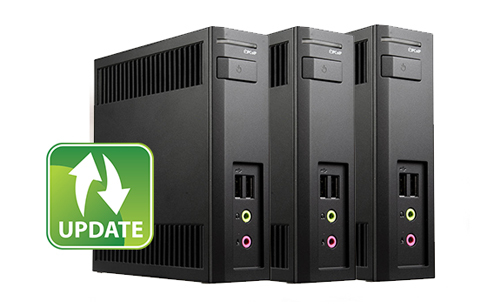 Zero client firmware updates and feature upgrades are available to Desktop Access subscribers. 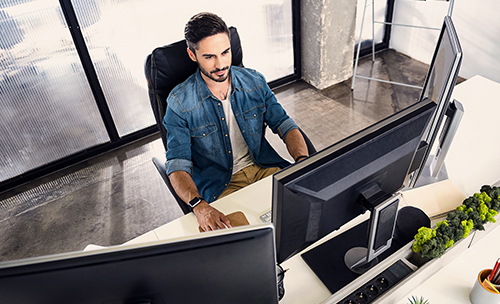 Whether you are managing Amazon cloud desktops or an on-premises VMware Horizon deployment, you are supported with Desktop Access. Subscribers get exclusive access to resources, training and 24x7 support from the inventors of PCoIP technology. Is a migration to the cloud in your future? It could be. With Cloud Access Software, your infrastructure can come with you. Explore your cloud possibilities with three 1-year Cloud Access evaluation licenses, included with your subscription. The Teradici PCoIP Management Console lets us manage everything through a single interface. Without it, we could never achieve our aggressive deployment goals. Rest easy knowing that your deployment is up-to-date, managed efficiently and supported by the inventors of PCoIP technology. Be certain that your infrastructure will evolve and scale with you, whether in your data center or the cloud. Recently purchased PCoIP Zero Clients? Register your purchase for a one year subscription to Teradici Desktop Access.